Shopping for Munsters Pop! Vinyl Figures? Remember The Munsters? It's hard to forget that marvelous sitcom from the 1960s! 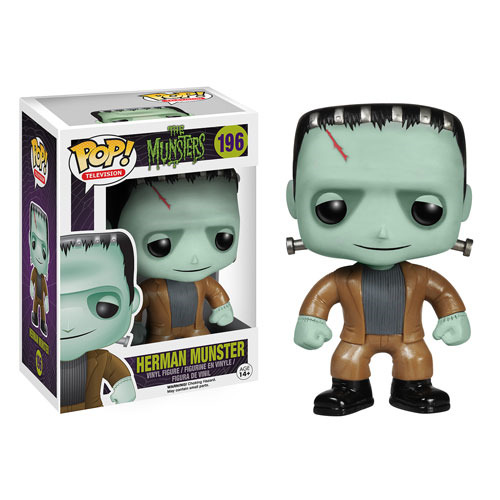 Bring the Munster family back to life by collecting all their sensational Pop! figures, including this stylized 3 3/4-inch tall Munsters Herman Munster Pop! Vinyl Figure. You'll be glad you did! Each figure sold separately. Ages 14 and up.